We use a Dyno Dynamics, which allows for steady state drivability tuning along with precise repeatable power figures for full power tuning. It also allows us to dyno not only cars, but motorcycles as well. This service helps establish a baseline power number as a reference point for future modifications. We will make between 2 and 5 pulls until the engine levels out on power. Returning customers receive a 25% discount. We are skilled in tuning many different EFI systems as well as tuning carburetors. Tuning cost vary dependent on application and complexity. The dyno is available for rental if you wish to do your own tuning or bring in your own tuner. Package deals are available for multiple cars and day rentals. The following are systems that we support . This beautiful Corvette was built By Greening Auto Co and was a Great 8 pick at the Detroit Autorama in 2013. Dyno tuning was by Erin Carpenter with HP Tuners. This awesome 69 Valiant was built by Greening Auto Co for Don. The engine is a modern 6.4L Hemi with 8 Stack intake on top of an intake manifold designed an machined by Greening. Wiring harness was built by Erin Carpenter and was one of the first Hemis running a Holley Efi. Tuning was also handled by Erin. We tuned the LS3 in this 69 Camaro with HP Tuners and picked up 40whp. 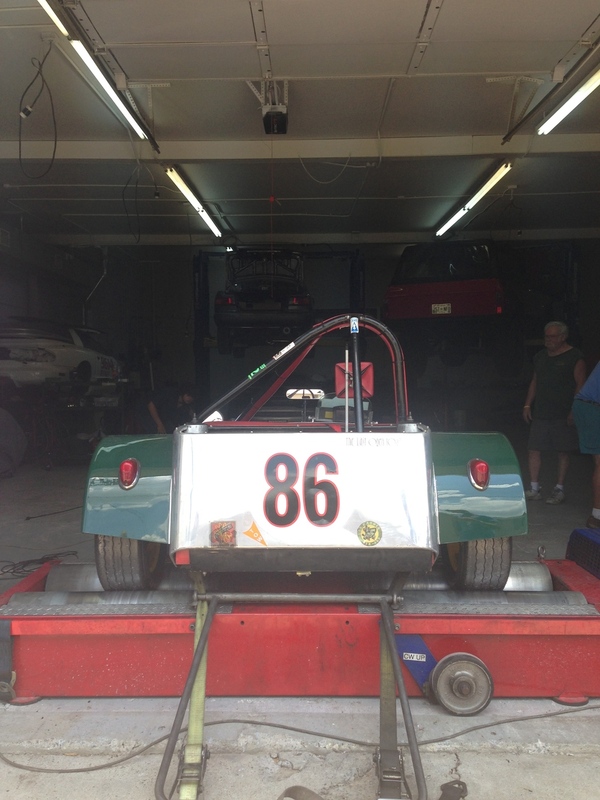 We love dynoing vintage race cars like this Lotus Super 7. Testing the exhaust on this Aprilia. We tuned the 427 LS7 in this amazing roadster for Retallack Rod Shop. We only did a baseline on this 1098S, but we are capable of tuning Ducatis. Call us for details. We tuned LS7 in this 63 split window, which is running a Holley EFI.